As a keen hiker and outdoor enthusiast, you know that proper hiking gear is essential for a successful day out on the trail. Footwear plays a critically important role in protecting your feet while hiking. In our review today, we shall explore a popular ladies hiking boots option; the Sugarpine hiking boots. So let’s get to it! 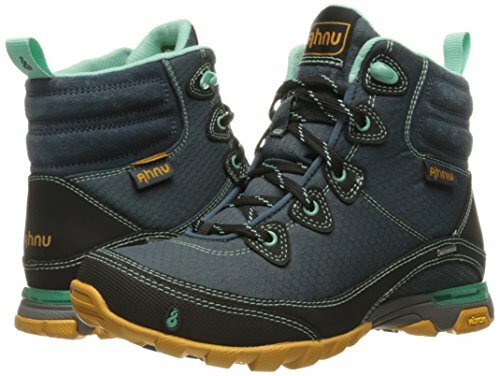 Ahnu are an excellent footwear company that provides hiking boots that are durable and rugged, with excellent design quality. With plenty of experience under their belt, Ahnu has made a name by consistently offering quality products. Between balancing your movement and providing all-day comfort, it’s important you get a good pair of boots. However, choosing the ideal boot can be quite challenging; there are so many brands and styles, and you want to make the right choice, so it can take a fair bit of reviewing before you get the right hiking boots for you. 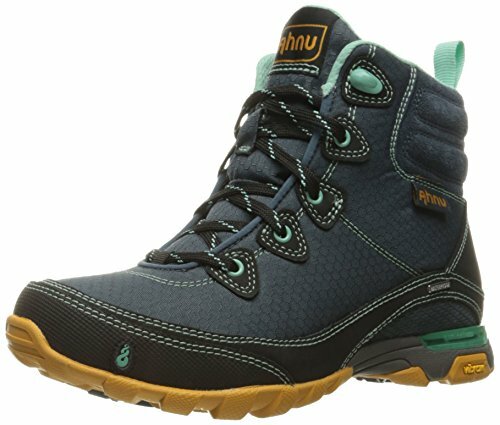 The Ahnu Women's Sugarpine hiking boots are, of course, designed for women who love spending a great deal of their time outside. With that in mind, they have a feminine style and appearance to them which is very pleasing to the eye. The Sugarpine boots are available in no less than ten different color combinations, so plenty to choose from. While the style and look of the Sugarpine boots have a sleek and feminine look, the boots also offer significant quality and durability in terms of performance. Tough trails have met their match in the athletic and comfy Women`s Sugarpine boots. To start, we loved that these boots largely run true to size, and require minimal break-in, so potentially good to go out of the box for many, which can be a winner. Additionally, the exceptionally lightweight nature of the boots, in conjunction with the supple mesh and suede upper, and well-padded construction, gives an outstanding feeling of comfort as you hike. In summary, complete with a stylish design, breathable and waterproof capabilities and excellent support, these boots are a must-have if you`re looking to look and feel great on your outdoor adventures. side from the athletic feel, the insole also has excellent shock absorption properties, which offer a ‘cushioned’ experience even on tougher terrain. Another desirable feature on the boots is the waterproof nylon mesh, with moisture wicking mesh lining running inside. The upper mesh is breathable, which helps to minimize the build-up of sweat, as any moisture is wicked away. This is achieved without compromising on the maintenance of comfortable and warm conditions around your feet. The waterproof mesh performs well ensuring that water does not find its way in around your feet. This waterproof material is not only crucial in keeping your feet dry, but also helps to ensure that the boots last for the long haul. Overall, the waterproof and breathability combo capabilities of the Sugarpine boots offers optimal comfort, almost like having the feeling of running shoes on your feet. The Ahnu Sugarpine hiking boots specifically made for women, or rather made with a woman`s feet in mind. The boots sport plenty of arch and heel support. Similarly, the shaft height comes far up enough to make you feel supported and comfortable, thanks to the additional padding. Hiking trails and mountains can at times be quite messy, especially if it`s during the rainy and muddy season. However, with the Ahnu Sugarpine, there’s no need to worry about getting dirt trapped in the soles of your boots; the self-cleaning lugs in the boots not only provide excellent grip on the trail, but the specific design of this feature, "naturally" cleans the lugs. This means that you do not have to stop your trail to clean the lugs out of your boots. While the boot can exhibit signs of buckling in the material around the ankles, which can cause minor pressures but not hot spots in the area, the shoes generally offer a comfortable fit to the user. When it comes to purchasing hiking boots, support is a major factor to consider. Fortunately, Ahnu has packed the Ahnu Sugarpine hiking boots with a gamut of desirable features, to help keep you supported on your hikes. In a nutshell, these remarkable boots have everything it takes to handle even the tougher elements that the trail can throw at you. For a start, when it comes to the upper construction, the Ahnu Sugarpine hiking boots offer a high-quality construction, with the upper boasting a durable synthetic and suede material construction. The suede overlays on the boots act as functional reinforcements providing additional support to your feet as they’re held in the boots. Ahnu has created the Sugarpine boots with a blend of functional and exciting technologies, which are both practical and sensible for the trail. For instance, the Numentum Hike technology employed in the midsole and outsole, helps to encourage your foot`s natural biomechanics, providing a comfortable feel as you hike. This helps to center and guide your foot as you hike to help promote an efficient, natural and balanced stride. When it comes to providing sensible quality protection against the rigors of the trail, the Ahnu Sugarpine hiking boots for women are second to none. Ahnu has fitted the boot with a gusseted tongue extending up to the ankle. This tongue is responsible for keeping any dirt and debris from getting in and around your feet. Similarly, to protect you from stubbing your toes by accident, the boots feature durable toe protectors. When it comes to stability, the Ahnu Sugarpine hiking boots are firm. The heel clip in combination with thick Vibram outsole provide excellent grip and traction. This, aided by the self-cleaning lugs, ensures that you won’t slip and slide, giving you a firm grip on the surface. The boots aim to deliver a neutral positioning, with arch support and cushioning responsible for keeping your feet supported and cushioned, even on a long-distance trail. This provides more control of your movement, when climbing over rocks, or walking on slippery surfaces. The Ahnu Sugarpine hiking boots come in and around the mid range in terms of price for hiking boots, but you can could find a bargain if you shop around. We think this is a fair price for the quality of boots you are getting. you can check live prices on Amazon by clicking the image at the top of this review or any of the links throughout. The best uses for the Ahnu Sugarpine hiking boots are light to medium day hiking, camping and general outdoor activities. They may not be the best option for tougher trekking or backpacking trips. That doesn’t mean they won’t take on the job though. A definite added benefit of the Ahnu Sugarpine is their stylish design and look. They really look the part and go great with jeans for casual use, wearing about town on an evening out. Looking at an average across 5 retailers, 85% of users (1000+ reviews) gave the Ahnu Sugarpine hiking boots 4 stars or more, with 70% giving 5 stars. So, you can see that they are some excellent scores from a very side range of users. The Ahnu Sugarpine hiking boots for women are a fine pair of hiking boots, which are an excellent choice for the lady hiker. They’re stylish and well-priced, as well as being both durable and comfortable. They`re not bulky and heavy compared to some other hiking boots in the same class. The material design of these boots means that their lightweight construction is an excellent plus. The boots are also not the stiffest, making the boot perfect for light to medium hiking. However, even though they’re light and flexible, they do not compromise on the support of the user, providing exceptional ankle and heel support. All in all, a good balance is struck.